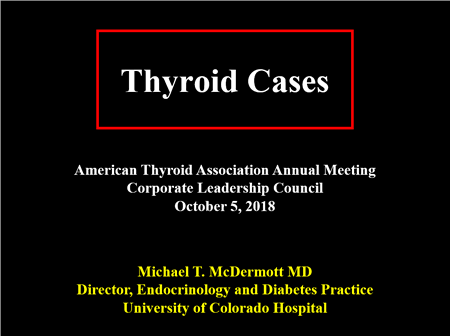 Founded in 2010, the ATA Corporate Leadership Council (CLC) provides a unique and valuable forum for open communication between the ATA and the community of corporations that share interest in thyroid health and biology. 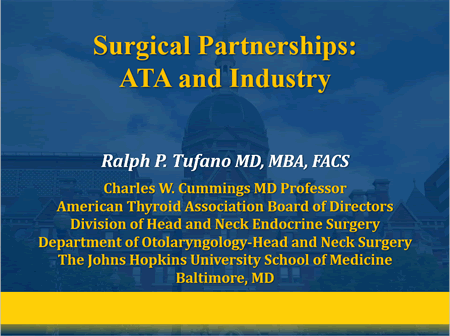 The ATA has created and made available at its web site this complete Institutional Conflict of Interest Disclosure, which will be updated annually. Exelixis is a biopharmaceutical company committed to developing and commercializing small molecule therapies for the treatment of cancer. We are committed to excellence in all aspects of our work and are dedicated to improving the care and outcome of cancer patients. Genzyme, a Sanofi company, has pioneered the development and delivery of transformative therapies for patients affected by rare and debilitating diseases for over 30 years. With a focus on rare diseases and multiple sclerosis, we are dedicated to making a positive impact on the lives of the patients and families we serve. Visit www.genzyme.com. Mary Ann Liebert, Inc. publishes authoritative peer-reviewed journals in promising areas of science and biomedical research, including Thyroid, the Official Journal of the American Thyroid Association. Thyroid (www.liebertpub.com/thy), published in print and online monthly, is the leading, peer-reviewed resource for original articles, patient-focused reports, and translational research on thyroid cancer and all thyroid related diseases. 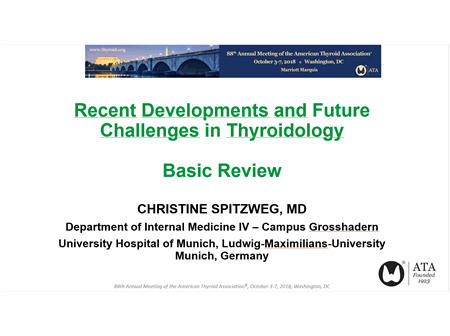 The Journal delivers the latest findings on topics from primary care to clinical application, and is the exclusive source for the authoritative and updated ATA Guidelines for Managing Thyroid Disease. Veracyte (NASDAQ: VCYT) is a leading genomic diagnostics company that is fundamentally improving patient care by resolving diagnostic uncertainty with evidence that is trustworthy and actionable. The company’s products uniquely combine genomic technology, clinical science and machine learning to provide answers that give physicians and patients a clear path forward without risky, costly surgery that is often unnecessary. Since its founding in 2008, Veracyte has commercialized three genomic tests, which are transforming the diagnosis of thyroid cancer, lung cancer and idiopathic pulmonary fibrosis and collectively target a $2 billion market opportunity. Veracyte is based in South San Francisco, California. For more information, please visit www.veracyte.com and follow the company on Twitter (@veracyte). Spectrix Therapeutics, LLC is a privately-held specialty pharmaceutical company committed to transforming how metabolic and endocrine disorders are treated pharmacologically. Through application of our proprietary multi-particulate drug delivery technologies we are able to provide tailored drug profiles to achieve optimal therapeutic effect, thereby enriching patient quality of life and further fueling the progress of medicine.